As a premium coaxial cable manufacturer, Hosiwell manufactures RG 6 Type coaxial cable for CCTV Application Series in best quality. Traditionally video transmission in CCTV(closed-circuit television) system is done using 75 ohm coaxial cables. 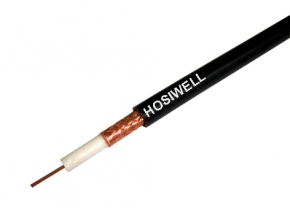 Hosiwell manufactured this F-RG-6/U 75ohm cables meet the UL 758 type 1354 specification.